A new bombshell report from a local Michigan station shows our stimulus dollars hard at work in a factory called LG Chem. The dollars might be at work, but the employees aren’t. The factory has yet to ship out a single battery, despite a $151 million grant provided by the Department of Energy. Workers at LG Chem, a $300 million lithium-ion battery plant heavily funded by taxpayers, tell Target 8 that they have so little work to do that they spend hours playing cards and board games, reading magazines or watching movies. They say it’s been going on for months. “There would be up to 40 of us that would just sit in there during the day,” said former LG Chem employee Nicole Merryman, who said she quit in May. Two current employees told Target 8 that the game-playing continues because, as much as they want to work, they still have nothing to do. One of their biggest customers is Chevrolet, as the company is supposed to be producing battery cells for the Chevy Volt at a clip of 15,000 per year. 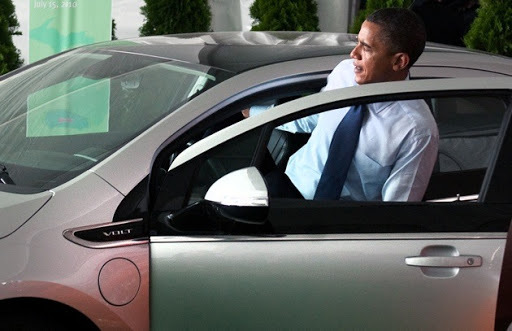 President Obama touted the company in 2010 as proof that “manufacturing jobs are coming back to the United States”.